Now that my baking is getting more regular, the rumours have spread around the offices that I bring cakes to work. So the other week I offered to make something for one of the teams over the road. 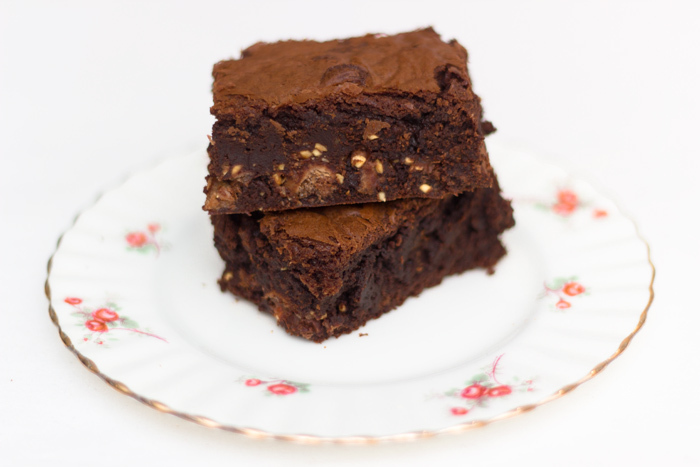 I gave them my ‘want to bake at some point’ list and they chose Ferrero Rocher Brownies. I love Ferrero Rocher, but I never buy them for myself. They are always something I hope to get a box of at Christmas or for my birthday and I’m not often let down. So I was pretty excited when they said this was what they wanted. It also scared me…my husband is a brownie connoisseur so I knew they had to be good to impress him! So yeah, I made these last weekend, not today. Today I am having a Sunday off as I may have offered to make a rather large batch of cupcakes tomorrow! Although it’s raining and miserable so I may get the apron out at some point…not sure if I’ll be able to resist it on a day like this! Or maybe I’ll just have a cup of cake tea instead! This recipe is adapted from Cannella Vita. Mine may have had a little orangey taste to them because I didn’t read the ingredients list properly before I sent my husband to the shop. I just read 1 pound of chocolate and didn’t do the maths correctly. So when he came back with a 100g bar I then had to search the house for another 350g dark chocolate! I just about managed to scrape it together but my only option was to use a bar of Green and Blacks Maya Gold which is infused with orange and spices….but it still worked and tasted good. Proof that it’s possible to improvise when baking! Ferrero Rocher chocolates – I used 1 box of 12 but you could use as many or as little as you want! Bake until the top looks slightly cracked and feels soft to the touch, about 25 minutes. Let cool completely on a wire rack. These brownies actually got better with age. I kept a few slices for us and we had them with our lunch. We ate the last pieces on the Wednesday (I made them on Sunday) and we both said how they had improved – they got denser and just tasted great. So my advice would be to wait. Bake them a day or two before you want everyone to eat them. 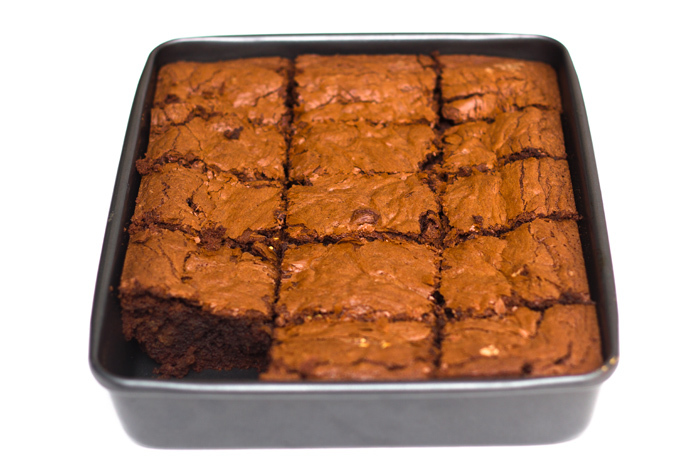 Although it may not be that easy – these are tasty brownies. « Review: Victoria Sponge Cake flavoured Tea – Bluebird Tea Co.
Bangor! Where did that cone from?